Hello - I’m Tom Guilbert and I work in the Data, Mapping, Modelling and Information team at the Environment Agency. I’ve been working over the last few months on updating and improving our bathing water quality open data services and applications. 2015 is the first year of a new directive that aims to improve our bathing waters even more. Designated bathing waters in England now have tougher water quality targets to achieve; the new standards are approximately twice as strict. 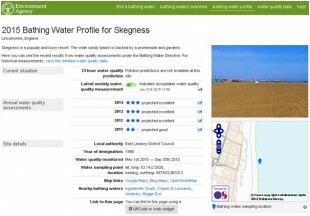 To coincide with this change I’ve been working with the team on updating our Bathing Water Application Programming Interface (API) and associated Bathing Water Explorer and Widget applications. These applications and the data they present are important because they help people make decisions about whether to go swimming. It’s also useful to partner organisations to let them know what we are doing, and what they can do, to improve bathing water quality. The data included in the service has been available as linked open data since 2012, with a well documented API, to encourage as much reuse as possible. 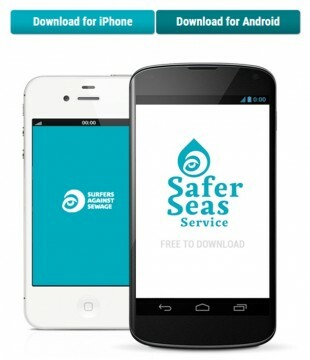 We have seen uptake in other digital services including the Marine Conservation Society (MCS) Good Beach Guide and Surfers Against Sewage (SAS) Safer Seas Service. We also provide widgets to allow organisations like local authorities to include our information in their web-sites without having to use the API directly. It’s important that changes we make are improvements for the users of the service. So I’ve worked with colleagues over the winter talking to members of the public and people from partner organisations like MCS and SAS to get their thoughts and understand what they need. These needs were fed into the design of the updated data model and applications, which now include information using the new assessment regime. People told us the most important thing they wanted to know was the latest situation at a bathing water. 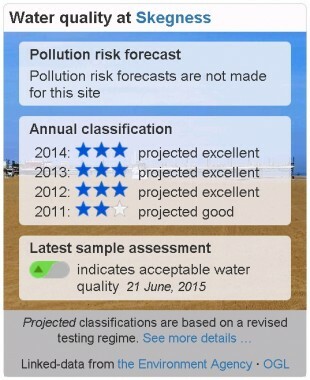 So we have changed the applications so that any warnings about the water quality today are most prominent. These are followed by the latest sample results, the annual classifications and background information. I’m very proud of the new system and hope it will be useful to beach goers, developers reusing the open data in new and exciting ways, and the people managing and improving bathing water quality around the country. I would love to hear any feedback you have to make it even better so please contact me if you have any.